The history of Western civilization shows us that most social and moral progress has been brought about by persons free from religion. In modern times the first to speak out for prison reform, for humane treatment of the mentally ill, for abolition of capital punishment, for women’s right to vote, for death with dignity for the terminally ill, and for the right to choose contraception, sterilization and abortion have been freethinkers, just as they were the first to call for an end to slavery. 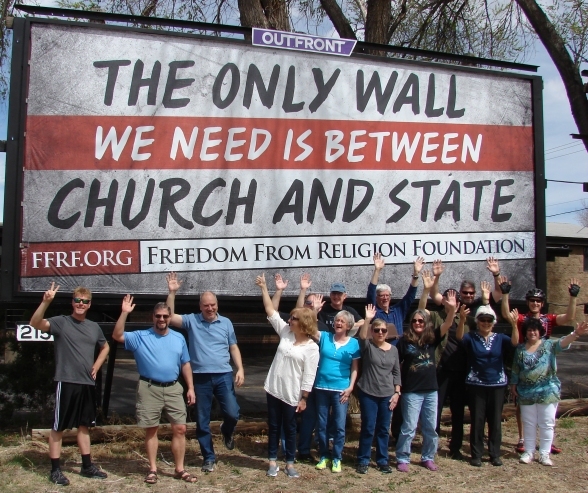 The Freedom from Religion Foundation works as an umbrella for those who are free from religion and are committed to the cherished principle of separation of state and church. 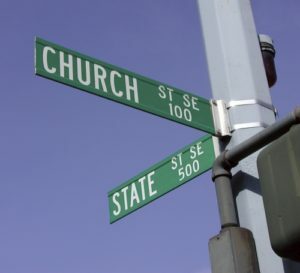 FFRF-Denver is a non-profit 501(c)3; our chapter’s mission is to safeguard the constitutional provision of church/state separation, and to educate those in the community on this issue. Donations to FFRF-Denver are gratefully received and may be designated for a specific purpose or for general support. All gifts and dues given to the Foundation are deductible for income tax purposes. We hold monthly meetings at a local secular ‘gathering place’ called The Secular Hub, located at 3100 Downing Street Unit C in Denver. Our meeting are scheduled on our Meetup Page. Our mailing address is P.O. Box 460234, Denver, CO 80246. For more details on Freedom from Religion Metro Denver Chapter please email us with any questions to info@ffrfdenver.org. To join the Freedom from Religion Foundation Metro Denver Chapter please see our Membership page. To find out more about the Freedom from Religion Foundation, visit the National Website.